Ever wished you could process transactions or analyse data on the go? 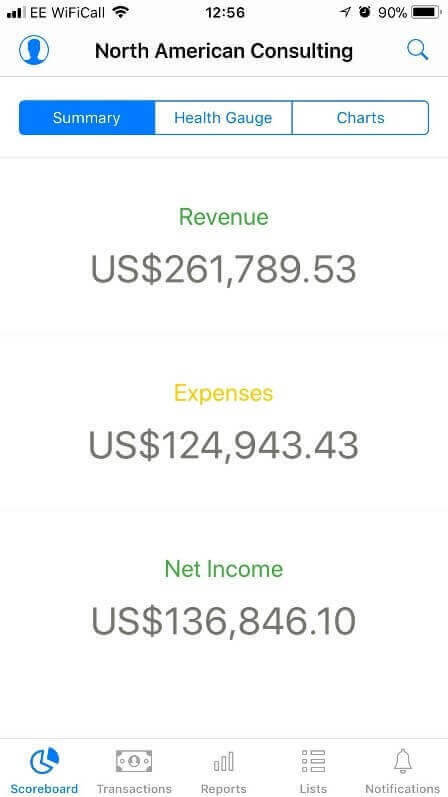 You can with the Sage Live App! The App is available to all iOS devices to use whenever and where ever you are. Making it as easy as a tap away from viewing your businesses data, like the headlines on the BBC news…or more exciting still the video clips from the first catwalks at Fashion Week! There are lots of features from the Sage Live system that are available within the App. These features enable you to keep in touch with your team members, the organisations cash flow and important updates and approvals…helping to give you the freedom to focus on what you do best! 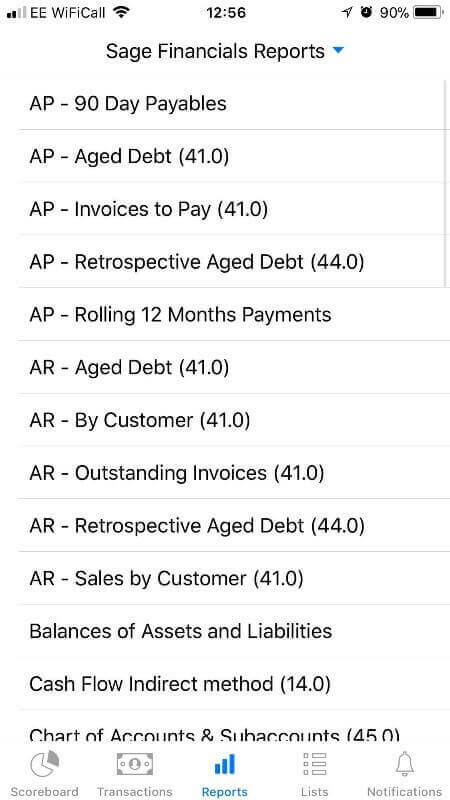 The Sage Live App allows you to enter Transactions directly into the system, with an easy to use entry screen using either your touchscreen or keypad (if your retro and flying the Blackberry flag like myself). 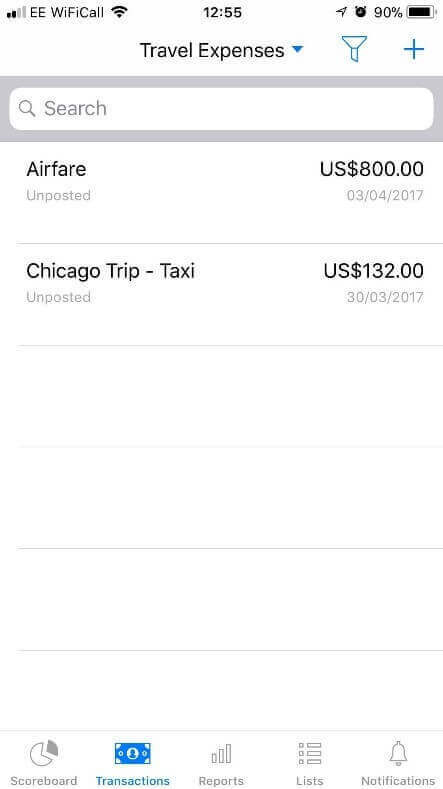 This App can be used when members of your team are onsite and need to enter in Travel Expenses while on the road. Having this functionality within the App also allows you to add Proposals and Sale Invoices while out on site. For example, if your Consultant was with a client who wanted additional time, they could use the app to create a proposal and sales invoice whilst they are still onsite. This would improve productivity and the conversion of your sales process; giving you the time to ensure your customers are being dealt with prompt and efficiently. 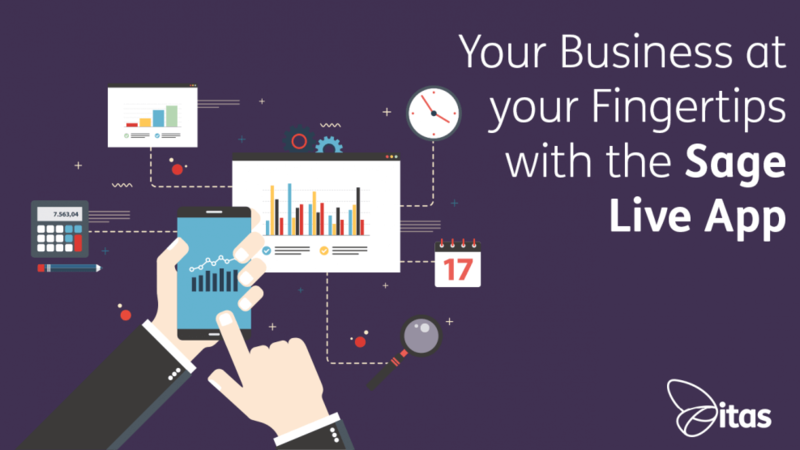 Providing you with Live data feeds on your Business cash flow and allowing you to analyse and evaluate your business. All while grabbing your Dolce & Gabbana satchel and flying into a taxi to head to your next meeting. So, there is no need to panic when you step out the office that changes occur in your absence. You can keep tabs on all financial changes from your phone or smart watch. All dashboard reports within Sage Live can be accessed on your Apps home screen. Set default dashboards to appear within your home screen, giving instant visibility as soon as you login to the vital information important to you. Flicking between your company’s financial stats and the official release of fashion weeks upcoming dates, has never been more easy. This feature within the Sage Live App gives you the ability to contact, notify and alert other users within the system at any time. The Notifications centre brings all these alerts into once place for you to keep track and avoid things being missed while you’re out of the office. Approvals can also be processed via the App allowing users to send through Requests live from the system to your device. If only there was a real-life approval process when shopping, think of the money you would save; then again those shoes with that scarf are a must! Having the freedom to process approvals decreases the resource time it takes to run and keeps you informed with the real-time data at every moment. You can also update and post comments via the Notifications feature using Chatter; keeping you in touch with team members by tagging them and other users within the reply. Created your favourite dashboard in the office with real time live data visualisations? The Sage Live App gives you the capability of taking these dashboards with you on the road. 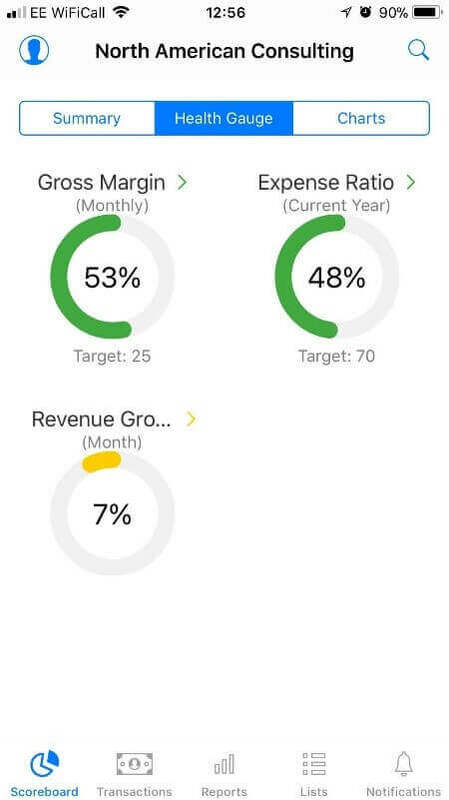 You can access and view dashboard Reports from your Sage Live system from the comfort of your car, on the go or at a meeting. You have functionality to change the filter, parameters and amend options to display even more detail within the Report. Within the App you can also view all Report folders, so you can set up a personal folder within your login. Making finding your favourite Reports easier than ever. If you have multiple companies set up within your Sage Live system, you can swap and change with ease from one company to another allowing you to run reports for all. Sage Live App can give you real time ‘Live’ data on the move where ever you are. Allowing you to add new entries into the system from transactions to internal updates. With the key features of being able to view not only reports but also dashboards. The App gives everyone ease of functionality and convenience from the use of any IOS device. The touch screen interface is practical and easy to use navigational icons; allowing the user to change from one feature to another with one touch. The ability to not only access your Sage Live data out and about, but also to add new transactions and next steps. Helping to improve your company’s overall productivity not only internally but when engaging with customers. Sales invoices can be created and sent all from the same device, providing customers with a quick invoice process they can pay and book additional services or products from you within minutes. 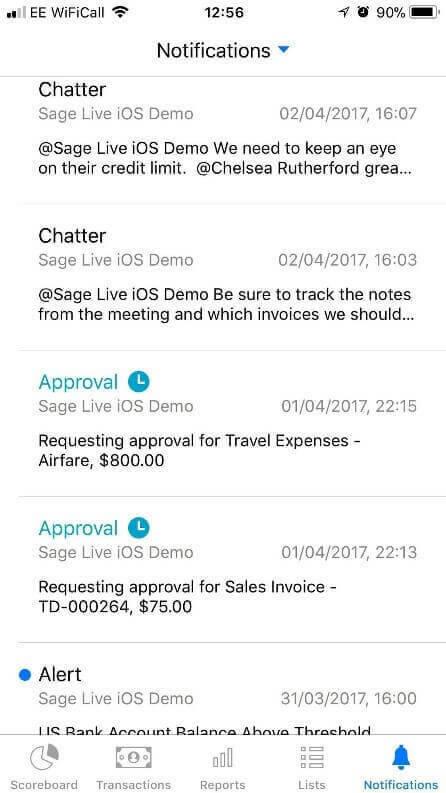 The Sage Live App overall is a ‘have to have’ accessory for your Sage Live system and what’s more its free to download! So, what are you waiting for?